Stuff here, stuff there, stuff everywhere, man we donated and threw away a lot of stuff. And we are a couple that didn’t really have a lot of stuff. I couldn’t even imagine if we had a lot of stuff. Then again, folks that have a lot of stuff probably never get rid of it, that’s why they have a lot of stuff. 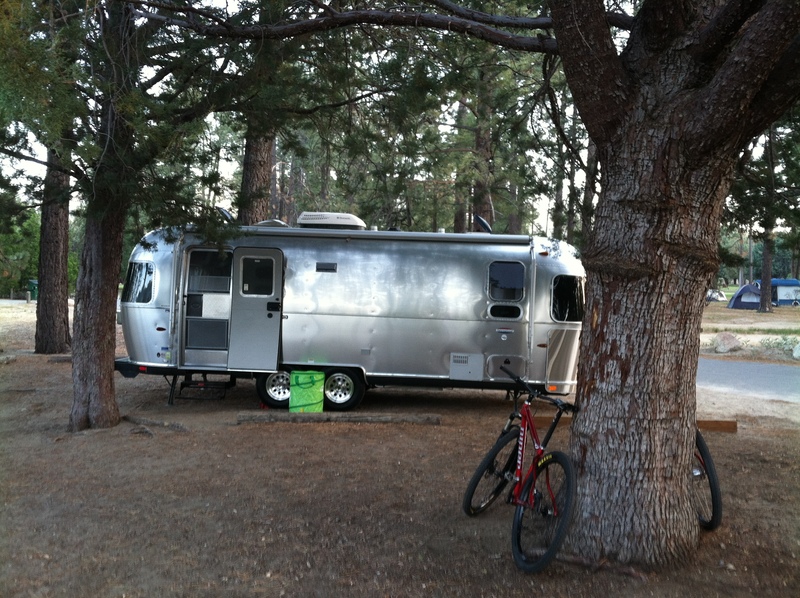 The large pile on the left went to Mammoth, the pile on the right is going into the Airstream. It has been emotional at times, but we are now 90% moved into our condo in Mammoth Lakes. There was a lot of reflecting as we drove back to San Diego today. 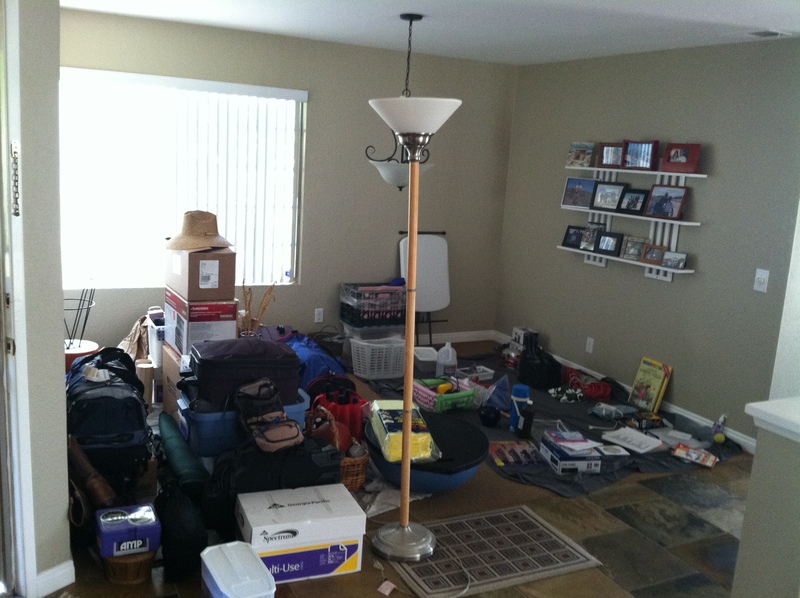 It really hit us as we walked into our big empty house, 12 more days in San Diego. with some help from Amelia. 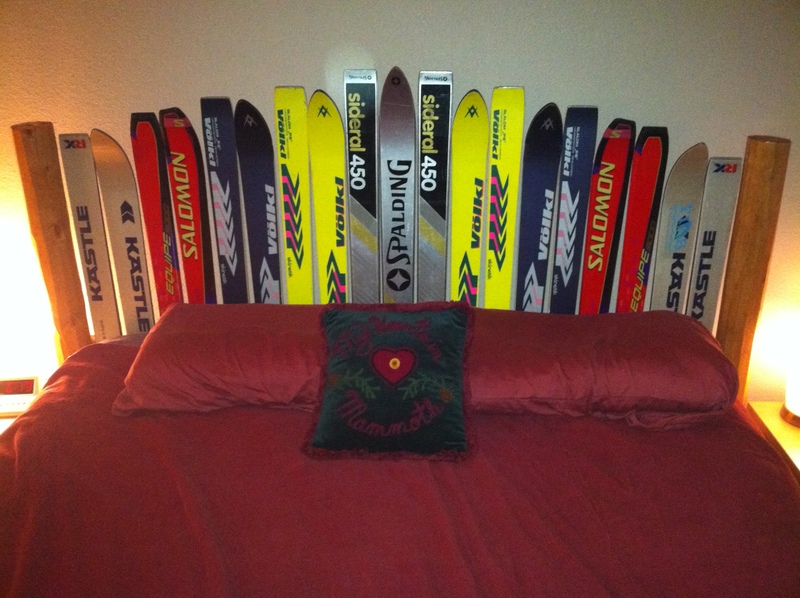 Those skis all belonged to my brother or me. You can’t really count when we spent the night in the dealer’s lot in Fairfield. So officially Hurkey Creek was our first trip. This trip had been planned for months. It was a big retirement bash for our good friend, Lt. Col Gumby, who just turned civilian after 24 years. It was a great trip, with great friends, and great bike riding. So much fun was had that I only got one photo. Rookie move, not quite level. But let it be known, our very first back in to a spot was done by Amelia.